LONG BEACH, Calif., March 23 (SEND2PRESS NEWSWIRE) — Families Uniting Families will be extending an invitation to those in the community to join in a “Family Game Night” on March 24, 2011 from 6:30 p.m. to 8:00 p.m. at their offices in St. Luke’s Episcopal Church, located at 525 E. 7th Street, Long Beach, CA, 90813. The “Family Game Night” is an opportunity to meet the staff and participants in a safe environment where the group will promote “family together time” through a variety of physical games and play to recruit new members into the weekly support groups. Families Uniting Families is a 501(c)3 charity organization committed to providing homes, care, treatment and supportive services for abused, neglected and emotionally troubled children and their families. To address the problem of absentee fathers, CII created Project FatherhoodSM in 1996 to re-engage low-income fathers, particularly in urban settings, in the care and upbringing of their children. Federal funding allowed Project FatherhoodSM to expand in 2006 across Los Angeles County. The Project FatherhoodSM Community Grants Program is part of the Responsible Fatherhood Initiative funded by the U.S. Department of Health and Human Services, Administration for Children and Families, Office of Family Assistance. Back on September 21, 2010, Children’s Institute Inc. (http://www.projectfatherhood.org/) announced that Families Uniting Families (FUF) would be one of 10 recipients for a grant to initiate a father support group called Project FatherhoodSM. Since November 2010, FUF has been actively building their Long Beach based “Men in Relationships” support group. Studies show that children without fathers are more likely to live in poverty, use drugs, drop out of school, develop emotional and behavioral problems, and be incarcerated. The presence of participating nurturing fathers has a profound positive impact on children’s health and well-being. 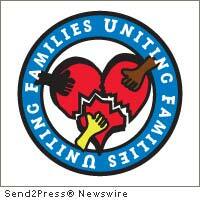 Families Uniting Families has been serving children in Los Angeles County and Orange County since 2004. They are known for providing excellent care and treatment to children who suffer from abuse and neglect. Families Uniting Families cultivates nurturing and knowledgeable families to protect and enhance the welfare and stability of vulnerable children and their families so that they are able to live productive and meaningful lives. For more information about Families Uniting Families, call (562) 437-4114, contact info@familiesunitingfamilies.org or visit the Families Uniting Families web site at www.familiesunitingfamilies.org . Original Keywords: James Schrage, Children’s Institute Inc, Project Fatherhood, Families Uniting Families, California nonprofit news, charity, fundraiser, game night, FUF, parent, kids, children, 501c3, providing homes, care, treatment and supportive services for abused, neglected and emotionally troubled children and their families Families Uniting Families Long Beach California LONG BEACH, Calif.
REFERENCES: Family and Parenting News, James Schrage, Children's Institute Inc, Project Fatherhood, Families Uniting Families, California nonprofit news, charity, fundraiser, game night, FUF, parent, kids, children, 501c3, providing homes, care, treatment and supportive services for abused, neglected and emotionally troubled children and their families Families Uniting Families Long Beach California LONG BEACH, Calif.